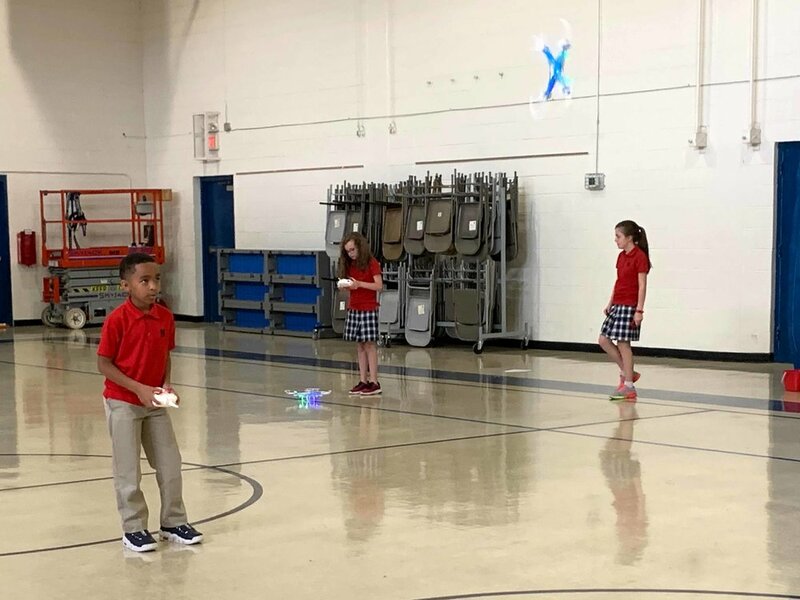 Lower School Drone Club Completes Successful First Mission! 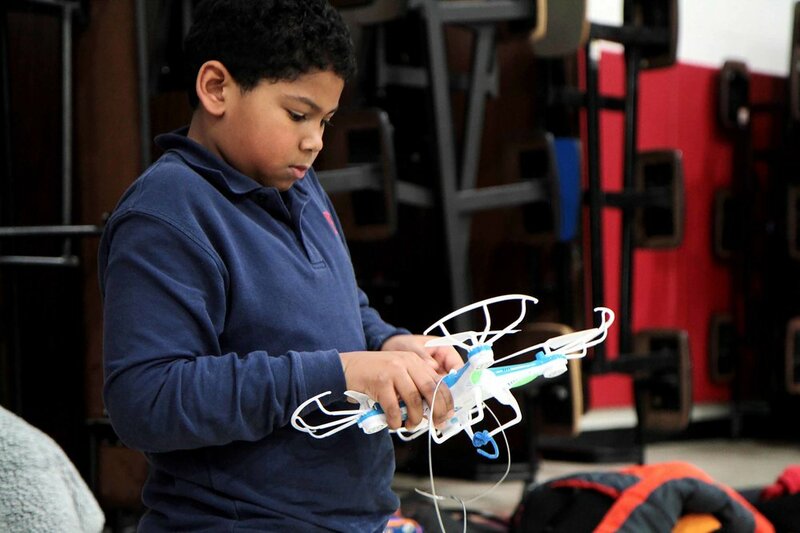 Harding Academy’s lower school Drone Club just finished its first six-week course. The course was taught by Laura Burns, our lower school science lab instructor and it met twice a week. During that time, the two groups of students learned drone maintenance and care, roles of the Pilot in Command and of Visual Observers, the fine motor movements required to fly drones precisely toward packages and targets, and designing and building prototype package pick-up systems. They named their drones with call signs and had to complete pre-flight checklists at the beginning of each class. The students also logged each flight and learned to comment on the effectiveness of their missions. 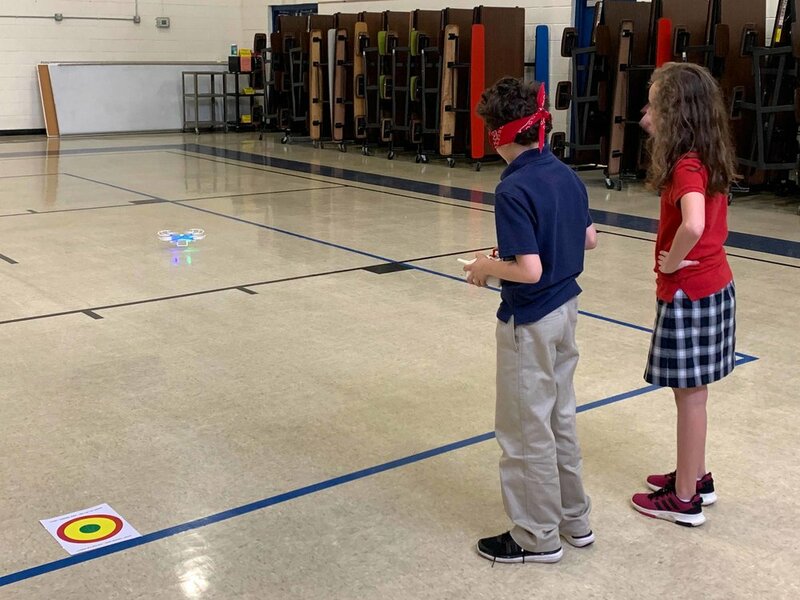 After the students learned basic flight control, they created obstacle courses to complete so that they could further refine their understanding and control of the drones. As the lessons continued, they engineered package pick-up devices that they attached to their drones. The drones had to be able to take off and land with these attachments, as well as pick up and transfer light packages of various weights. Our final mission required each pilot to maneuver the drone blindfolded. The students had to take off from a target, travel across the gym to a different target, and successfully land on that target to successfully complete the mission. As you can tell, teamwork and communication were vital to this mission since the team members had to guide the pilot with verbal instructions in order for the pilot to succeed. We had a great first experience with the drones, and we are looking forward to more adventures with the drones in the future! Harding is the only school in Tennessee to use the Woz U Education elementary school drone program. We are very excited about exploring this cutting edge technology! Harding Academy is the launch pad for this drone program. We were selected by Woz U Education, a technology education company inspired by Apple co-founder Steve Wozniak, as the pilot school and all of the course content and curriculum were written based on studies and observations of our students. The program has since rolled out nationwide.